Supporters gather at the Broken Chair, just outside the entrance to the United Nations, to celebrate the achievements of the “Decent Work for Domestic Workers” campaign and garner energy for the final days of the conference. throughout the world. Sonu Danuwar, President, Nepal Independent Domestic Workers’ Union (NIDWU), President of the Asian Domestic Workers Network (ADWN) and Vice Chair of the International Domestic Workers Network (IDWN) delivered an address on behalf of IDWN, which included her own experience as a domestic worker (click here for her speech) This week contains four public events intended to highlight the global urgency to assure rights for domestic workers and expand awareness beyond the ILC meetings. My name is Sonu Danuwar. 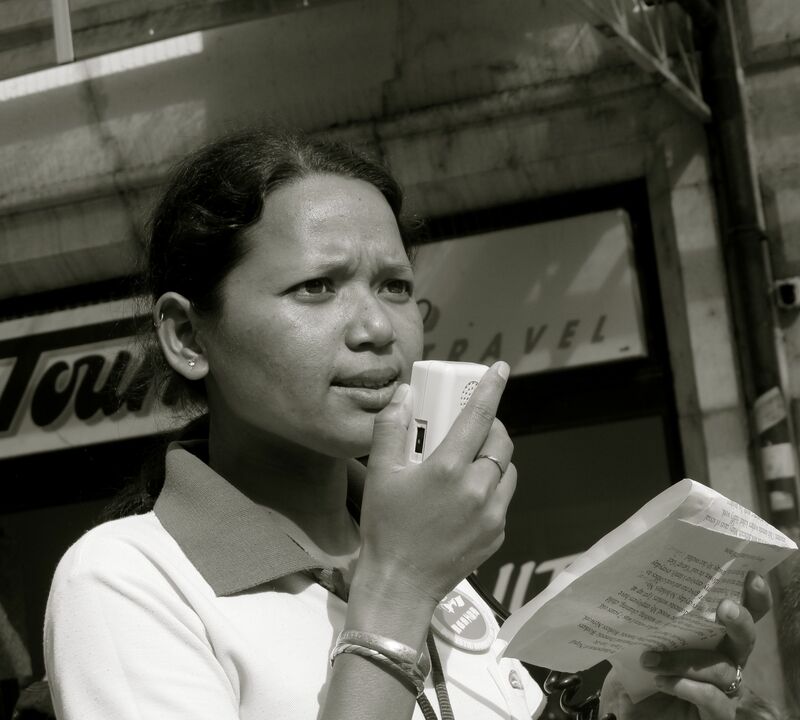 I am chairperson of Nepal Independent Domestic Workers Union. 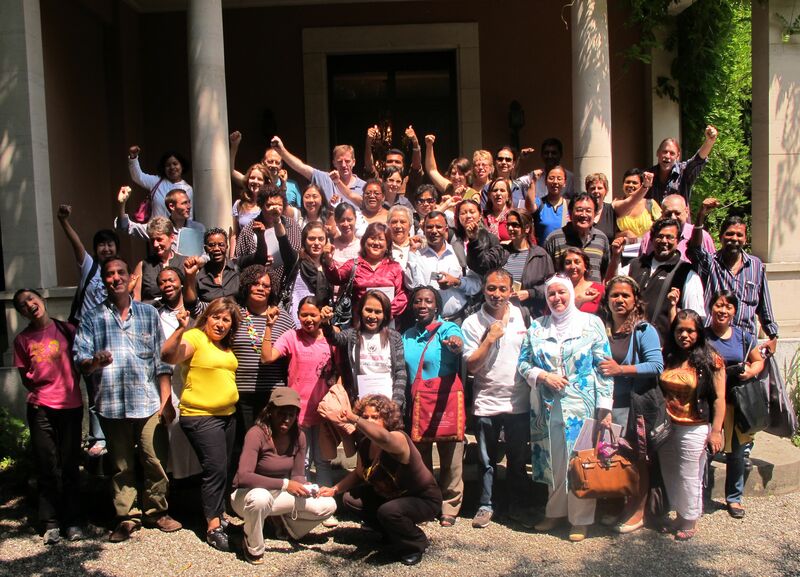 I am the vice-chairperson of IDWN, International Domestic Workers Network. HKCTU (Hong Kong Confederation of Trade Unions), new chair, Pun Tin Chi, on Radio Hong Kong 5 June 2010! He shares about HKCTU action and demand for an ILO Convention on domestic workers. He shares also who are the domestic workers, their issue both in Hong Kong and in the world. Young people are on the radio talk show. Director General Juan Somavia met with our delegation of 30 domestic workers and Marty Chen, Director of Women in Informal Economy Globalizing and Organizing (WIEGO) [www.wiego.com]. Myrtle Witbooi, Chair of the IDWN, handed over the platform of demands generated by the International Domestic Workers Network. Director General Somavia also received gifts and a song from network members. Photo: National Domestic Workers Alliance members after the first vote on the Decent Work for Domestic Workers Convention at the ILC. We are making history! 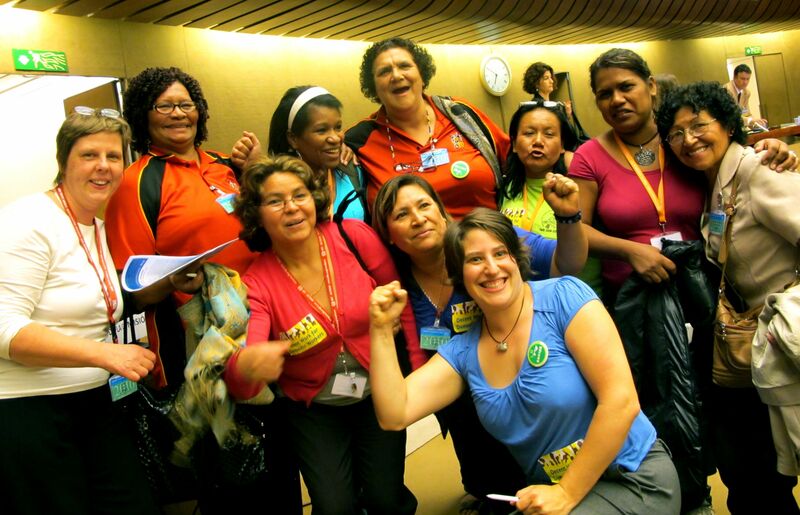 This evening in Geneva we won the first big battle at the ILO through the support of 61 (14 against) governments to support an international convention and a recommendation for decent work for domestic workers. This means that we are closer than ever before on assuring international standards for domestic workers will be established. The negotiations took all day, with the employers stalling for hours, but we won this first step in our campaign! We have many more struggles ahead in the coming days, as we have not even gotten to talk about the content yet. So now the challenge is to ensure that we create a strong and meaningful convention and not something which could actually be detrimental. The US government has been a huge ally thus far, so I want to congratulate everyone for the incredible work that has gotten them to understand and support us so strongly. It is a very good sign for us as we think about our next steps to seek justice for domestic workers in the US. and around the world. This is a great victory for women’s rights and human rights!